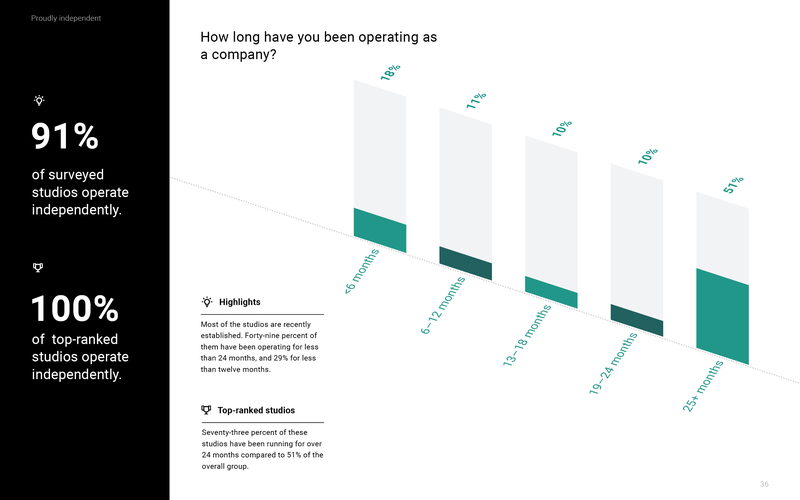 The Unity Game Studio Report 2018 was put together so we could share relevant benchmarking data with emerging studios, and help them understand how fellow creative teams operate and make successful games. 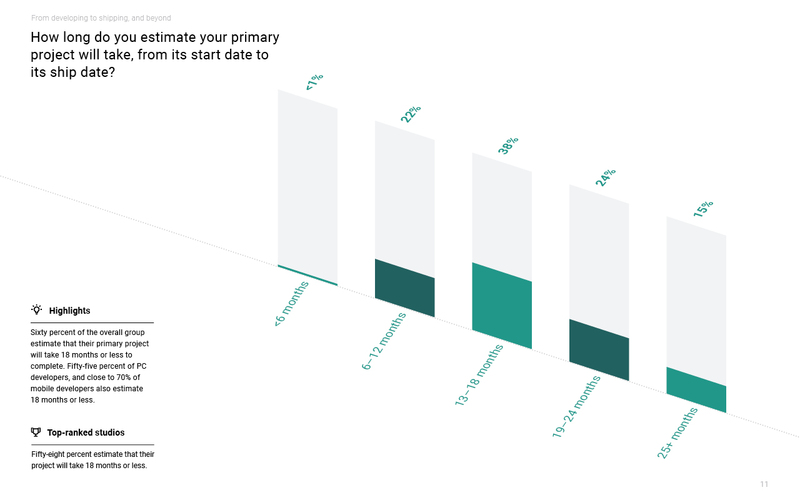 We conducted a study with the leads of 1,445 creative studios from around the world, with a focus on their primary project in 2018. 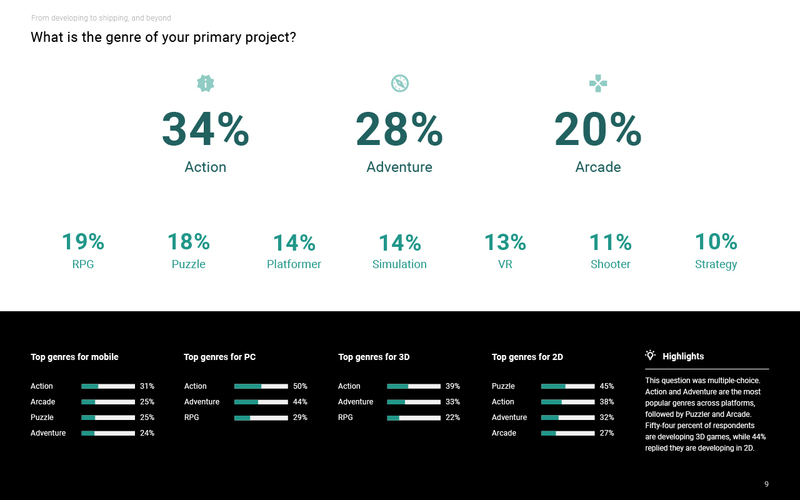 The report also includes insights into how “top-ranked” studios differ from the overall group in some key areas, interviews with studio leads who participated in the survey, and a foreword from the Executive Director at the International Game Developers Association. 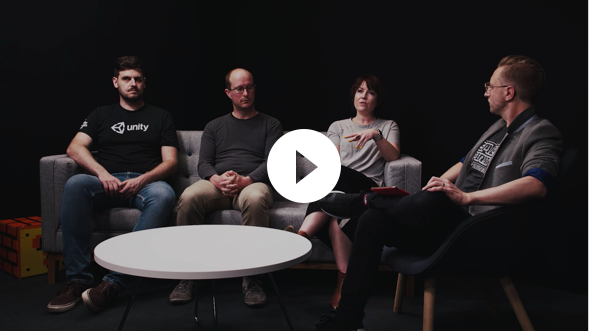 To highlight the story behind the report findings, and provide more context, we taped a fireside chat with a panel that includes Jo Twist (CEO, UKIE), Will Goldstone (Product Manager, Unity), Ciro Continisio (Technical Evangelist, Unity) and Peter Pimley (Developer Relations Engineer, Unity). 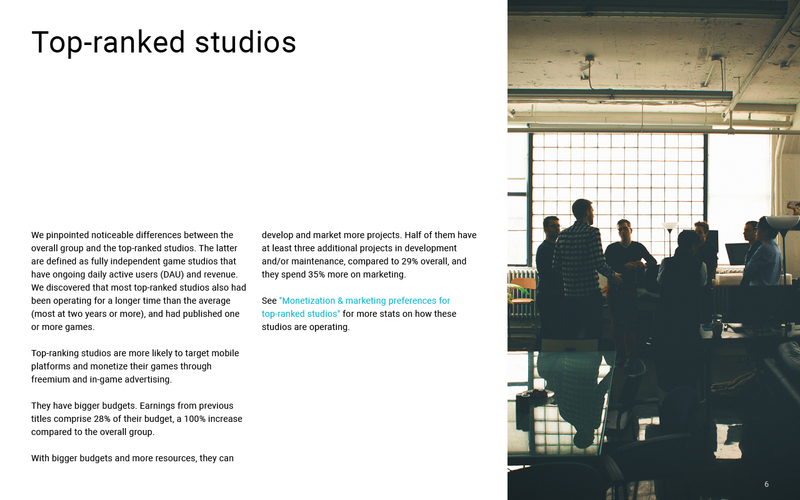 Find out how indie studios succeed. We hope you enjoy the report. 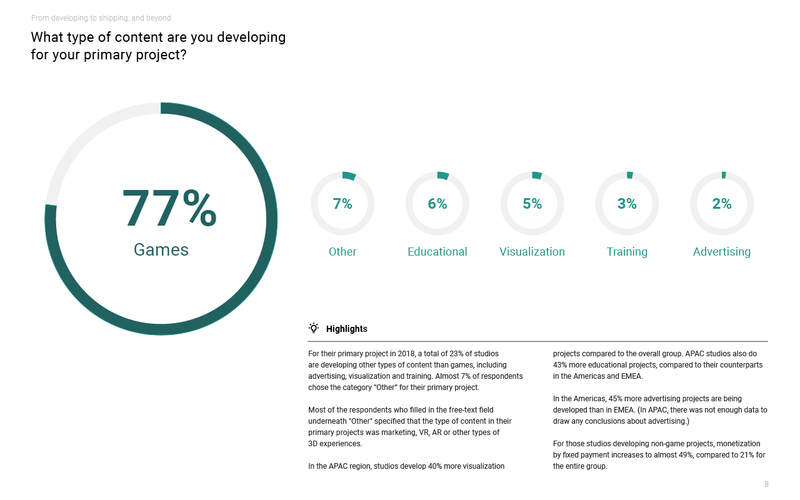 If you want to get involved in next year’s game studio report, as a participant or partner, please reach out to us.